They say that a presentation can break or make a sale, paint a dream or draw a cloud in your audience mind. Let’s have a quick look at how Steve Jobs and Bill Gates do their presentation. 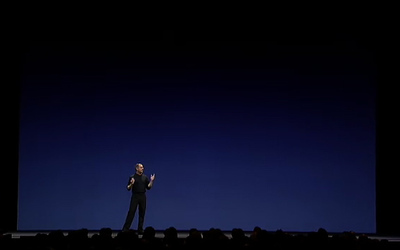 One of Steve Job’s motto is “Less Is More” and you can see it clearly in his presentations. 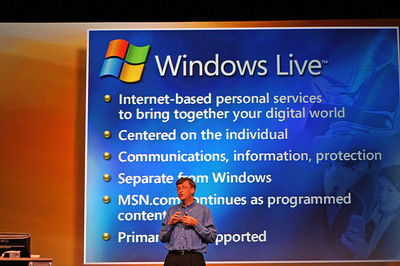 Compare that to Bill Gates’ presentation. Can we call this simple? People love eye candies. They are simply more interesting than text. And sometimes I wonder if it’s just too easy for people to misused the bullet lists in Microsoft Office. 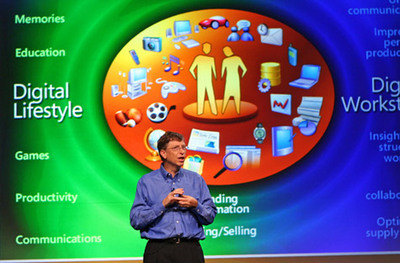 If I had to really pick a winner, I would have said that Steve Job’s presentation looks much more interesting than Bill Gates’. But the argument behind what is considered as a successful presentation is that a presentation shouldn’t be judged solely by the “looks” of the slides, but also on how well prepared the presenter is to deliver his/her message to the audience. Since you are here, take a look at how they speak when they do a presentation as well. Both men talk with a concise and clear voice, and demonstrate passion on what they are presenting. 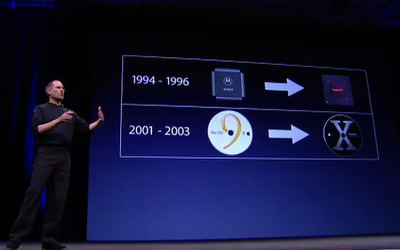 Steve Jobs’ Macworld presentation did look a bit more interesting though as he gets to play with iPod and iPhone.